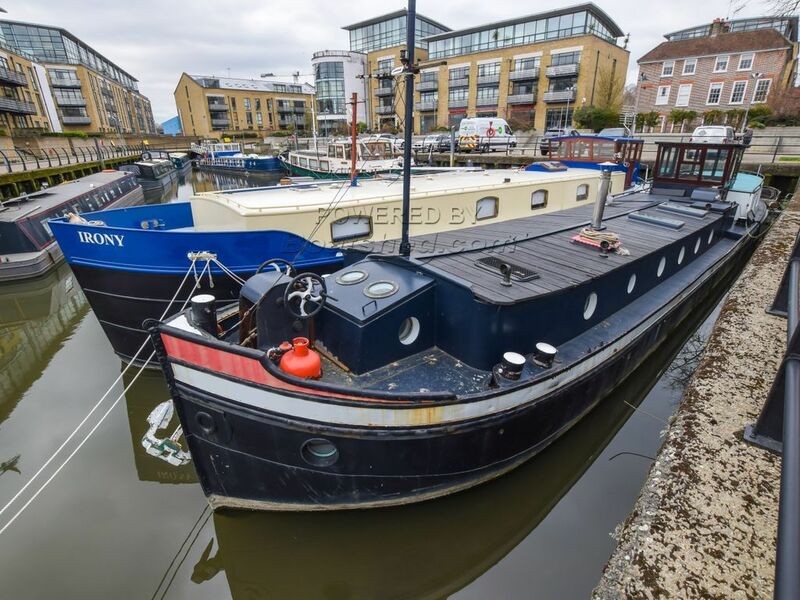 Boatshed London are delighted to offer this 21m Dutch Barge Luxemotor with residential mooring in Brentford, West London. Originally from 1924 but converted to residential use in the 1980's and totally refitted by the current owner in 2010, this is a spacious barge that would make a great family home with its three good sized cabins and bright, open-plan living area and galley. The hull was overplated in 2012 and overall, this barge has been very well maintained and presented in good condition. Everything works and the new owners can move straight on board and start a life afloat in this quickly developing part of West London. The Bolinder diesel is extremely reliable and a bit of a talking point, the owners were regularly stopped while cruising so people could have a look at it. The dimensions mean this boat is suitable for canals and the Thames, tidal and non-tidal. It could also be used to explore the European waterways. The residential mooring in Brentford is fully transferable and current mooring fees are roughly £12,000 per annum.